Love the presentation to organize, access, and share information. Thank you for the resources. Some very good ideas for sharing information. Thank you. Great suggestions for using Pinterest in the school settings. 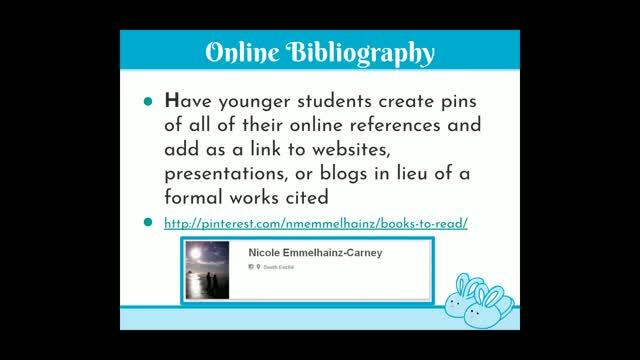 Great ideas for using Pinterest in the school setting. Thank you! Just learned so many ways to use Pinterest! Thanks!! 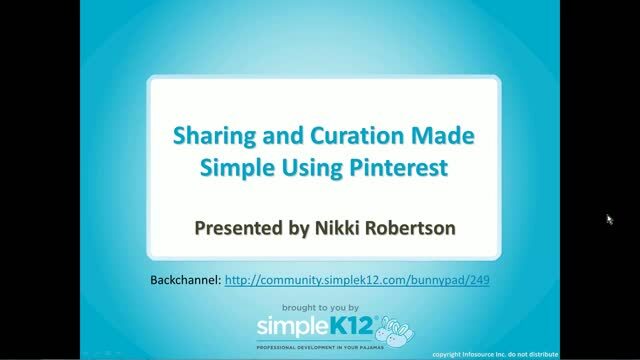 As a non-Pinterest user, it was a refreshing webinar, really different with some neat ideas!